This graph from Der Spiegel shows the wilde ride of the 10-year Greek Government Bond yields. 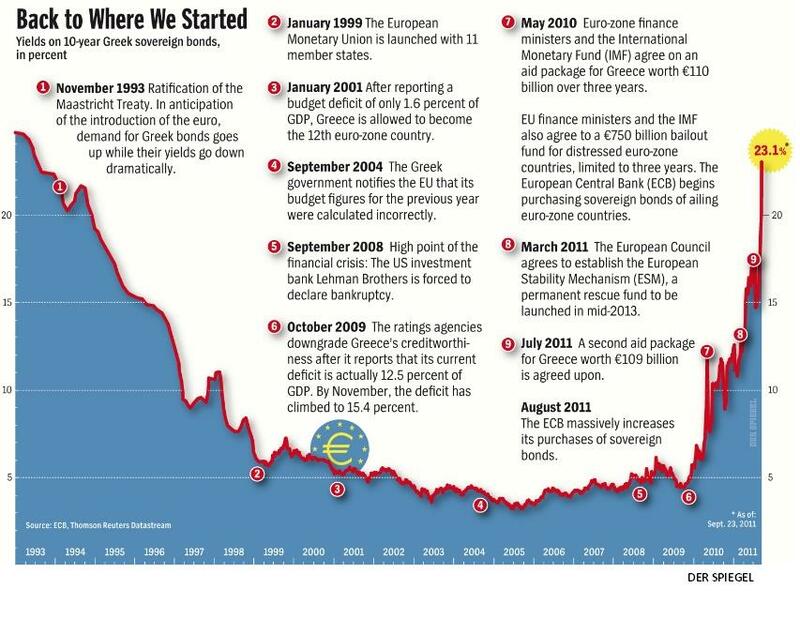 After the ratification of the Maastricht Treaty in anticipation of the introduction of the euro in Greece yields started to fall dramatically. Yields remained low until the Greek government announced the budget figures were significantly higher than previously reported, end 2009.